Collaboration can be hard-won in the world of construction design. It involves no less than “independent, for-profit organizations functioning in the name of one common goal, for a limited period of time, often on a moment’s notice, with no regard for existing workload and schedules,” says Dan Gainsboro, CEO of developer NOW Communities, in Concord, Mass. “You get it when team members are inspired by the project or mission,” says Donald Powers, president of Union Studio Architecture & Community Design, in Providence, R.I. When collaboration occurs, the result is a more marketable community that cycles through construction with a minimum of headaches. Designs can be shared, scrutinized, edited, and updated online so that everyone is aware of the latest tweaks and versions and the client is always kept in the loop. In a collaborative atmosphere, every team member—whether on the development and construction side, the marketing side, or the design side—contributes valuable insight that will shape the best possible housing solution for that site and that market. Of course, for such a collaboration to work, the team members must come to the table with mutual respect and a willingness to relinquish a measure of control in order to achieve a positive result. This means setting and sticking to an agenda. View a slide show of these projects, including photos, illustrations, and floor plans. 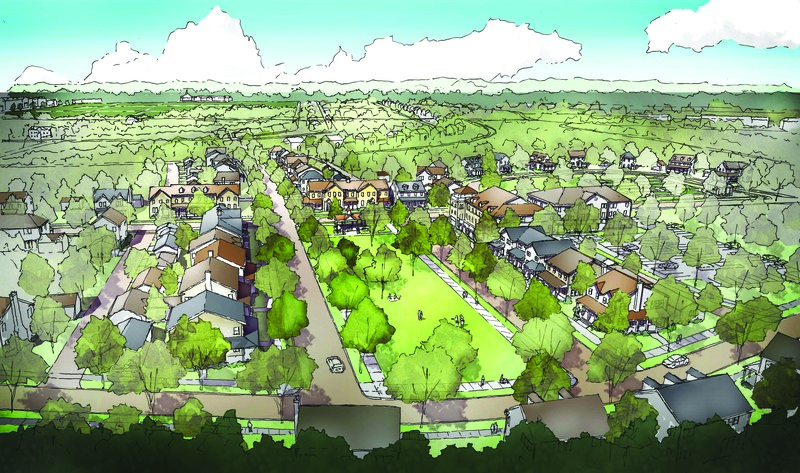 Located on the site of Fort Devens, a decommissioned military base in central Massachusetts, Emerson Green will include 120 single-family detached and attached homes, as well as several multifamily buildings, clustered in a series of pocket neighborhoods. 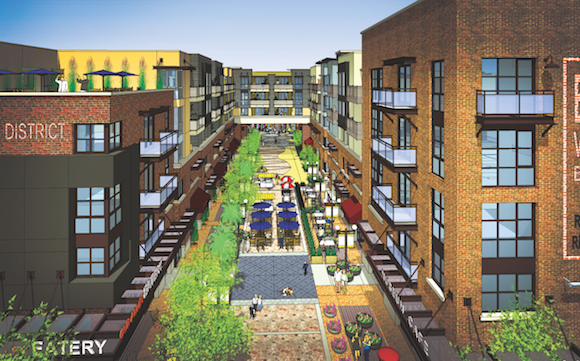 Part of the Devens master plan, Emerson Green will comprise several unique neighborhoods built in phases. “We are currently working on the first 18 homes in phase one,” Gainsboro says. NOW Communities is co-developer of the master plan with Union Studio Architecture & Community Design, which is also the architect. “Those disciplines are typically separated,” notes Don Powers. Another key team member is Robert Easton of the development firm Ajax Partners, in New York City, a strategic partner to the NOW Communities and Union Studio effort. Taking cues from the surrounding town’s rich architectural heritage, the Emerson Green designs are inspired by the historic homes in the area. “We wanted our designs to reinforce the visual connection with the rest of the region rather than imposing buildings that detract from the stunning harmony between buildings and their views,” Powers says. At press time, site design and permitting for Emerson Green was well under way. The architecture isn’t quite at that stage, but Gainsboro and Powers have already consulted factory-built housing providers. “Dan and Don’s openness to sharing the thought behind the siting and design decisions is tremendously rare, in my experience,” says Valhouli, who is helping them craft a message that aligns the architecture with the site’s history, the city, and the market. Often, Gainsboro says, people come together as a group to design a community, only to go off in separate directions. “We’re trying to leverage our shared core values and [mutual] respect to try to make a better project,” he says. Victory at Verrado, in Buckeye, Ariz., was conceived by two former Del Webb executives, Nick Taratsas and Deborah Blake. Taratsas is now senior vice president with DMB, a Scottsdale, Ariz.-based developer. Blake is strategic partner for Cecilian Worldwide, in Flemington, N.J., and principal of The Ipsum Group, in Litchfield Park, Ariz., both consulting firms. Victory is a district for active adults within the all-ages community of Verrado. When complete, it will consist of 3,500 homes on 1,200 acres. Four companies are building in phase one—Lennar Homes, Maracay Homes, Standard Pacific, and T.W. Lewis by David Weekley Homes—on lots ranging from 47 to 80 feet wide. DMB heard presentations by experts from outside the housing industry, including Dr. Walter Bortz of Stanford University (longevity and robust aging); Dr. Jim Nicolai of Andrew Weil’s Integrative Medical Institute (holistic medicine); and Georgianna Marie from Experience Matters (life and business transitioning). Next, Blake worked with ProMatura of Oxford, Miss., on consumer research that revealed what active-adult buyers want and what they are willing to pay for it. Finally, Taratsas and Blake wooed builders that were not actively selling to the 55-and-over market. 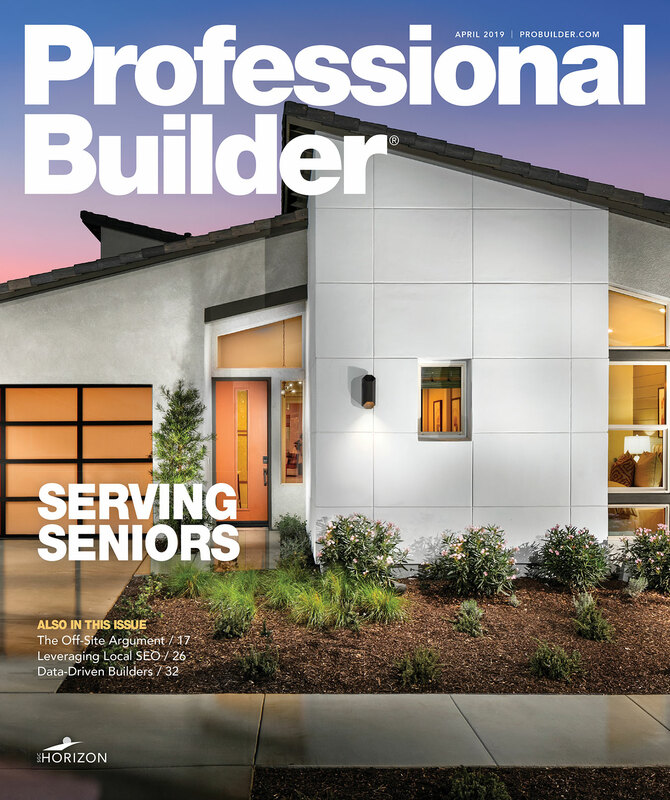 Architect Manny Gonzalez, principal of KTGY Group, in Irvine, Calif., and universal-design expert Mary Jo Peterson, based in Brookfield, Conn., conducted a one-day seminar with nine Phoenix builders. Gonzalez and Peterson developed a pattern book containing universal-design principles and prospective elevations, vignettes, and floor plans. “We helped [the builders] understand the competitive marketplace and gave them a tool for designing homes that would be more successful with this consumer,” Blake says. Once signed up at Victory, the builders designed new product. A few sought help from Gonzalez and Peterson. They also worked closely with Blake and Kathy Cecilian on the branding and creative strategy. Jason Hill, president of the Phoenix division of T.W. 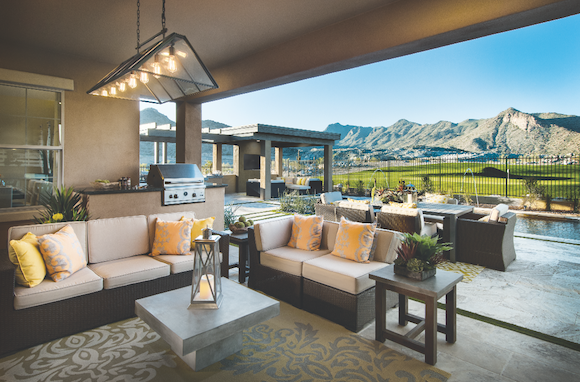 Lewis by David Weekley Homes, in Tempe, Ariz., says that the company used information from several sources, including its in-house research and design department; Kathy Andrews Interiors, in Houston; and Helen Foster of Foster Strategy, in New Orleans, a specialist in active-adult marketing. Taratsas estimates that 70 percent of the planning for Victory was done early on. The amenity strategy, which involves custom-tailored fitness regimes and advanced trail systems, crystallized later as DMB consulted experts in applied functional sciences, and a new company called Avid Trails. Lowe Enterprises, a Los Angeles-based developer specializing in large-scale, mixed-development projects, is presently at work on The Garey Building in L.A.’s Arts District. The Garey is actually two five-story buildings with 320 market-rate rental apartments over 15,000 square feet of retail. The buildings flank a two-block-long street that is being converted into a pedestrian paseo and active public space. 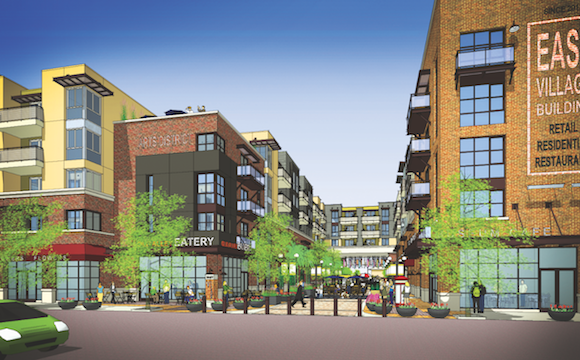 Driver Urban joined the team during conceptual design to offer preconstruction services. “We make [the project’s cost] more predictable, working with [clients] to set a budget and work toward it,” says Brian Chartrand, president of the Irvine, Calif., firm. “While the designers are designing, we’re giving constant feedback to the [client] about the pluses and minuses.” This simultaneous approach cuts down on the number of change orders and design-document delays, he adds. Once the conceptual design was complete, the team met roughly every two weeks, which kept everyone on task without overburdening them. In the last two phases (design development and construction documents), the team continued to meet every two weeks, though not always in person. “Some technical things were handled via GoToMeeting,” Smith says. “We’d set up an agenda a couple of days beforehand indicating who could use GoTo and who had to be there in person. If we were trying to solve a problem, we’d have the consultants come into the office." During the preliminary design stage, meetings lasted one to two hours depending on the scope. Technical meetings lasted as long as three to four hours because there were as many as nine consultants involved; however, the meetings were sequenced so that every consultant didn’t have to be present the entire time. TSM simplified the laborious task of taking minutes by creating a two-page, bullet-pointed project criteria list with the schedule and critical decisions for each discipline. The list was updated after every meeting. Plans, drawings, and specs were posted on TSM’s FTP site and Box.com for everyone to share. Susan Bady has been writing about the housing industry for 30 years. She is senior editor of Professional Builder and Custom Builder magazines, and produces the Design Innovation e-newsletter. Bady has also written for such consumer magazines as Cabin Life and Better Homes and Gardens’ Home Plan Ideas.